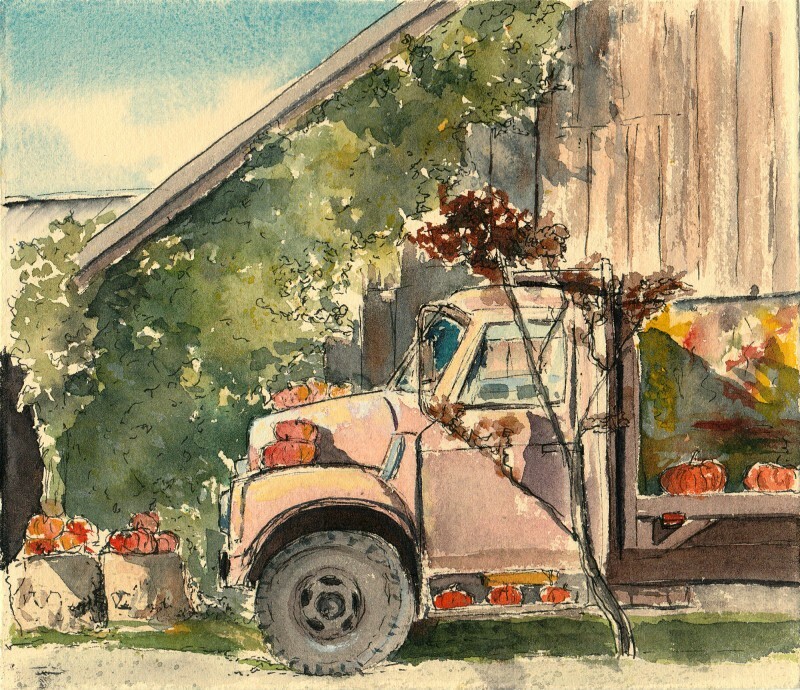 Fall is in full gear here in the Pacific Northwest and I recently visited a pumpkin farm to welcome the changing colors and sketch with Australian artist Jane Blundell and her friend Sharyn Sowell. It was a beautiful morning! I used my favorite ink and watercolor on Arches Cover cream toned paper to capture the warm autumn light. Jane introduced me to beautiful travel brushes made by Rosemary Co. The R12 sable dagger is my favorite, it’s a versatile brush! The angled point can create a wide range of marks and best of all and when stowed into its handle, is only about 4″ long. 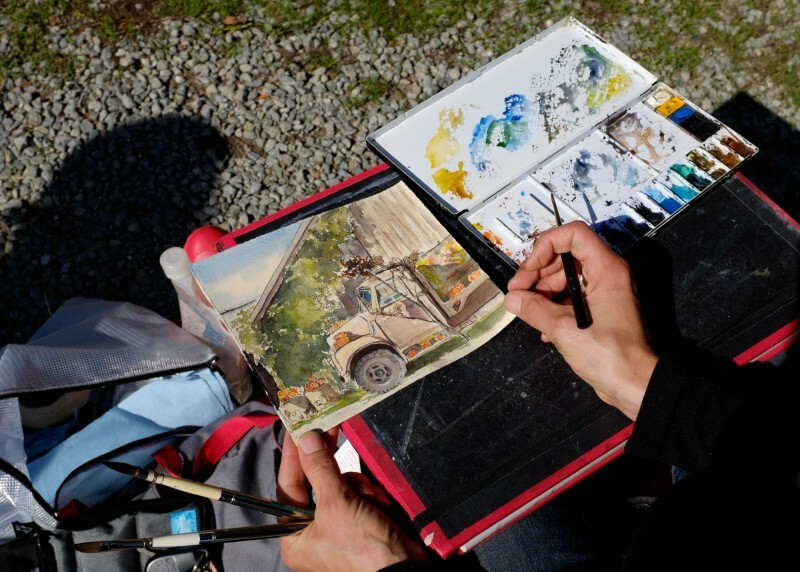 At that size, I can tuck it into either my large or small Art Toolkit. There’s always room for one more tool, right? That is a wonderful brush…and I lost mine! So bummed. What fun to meet you, Maria! 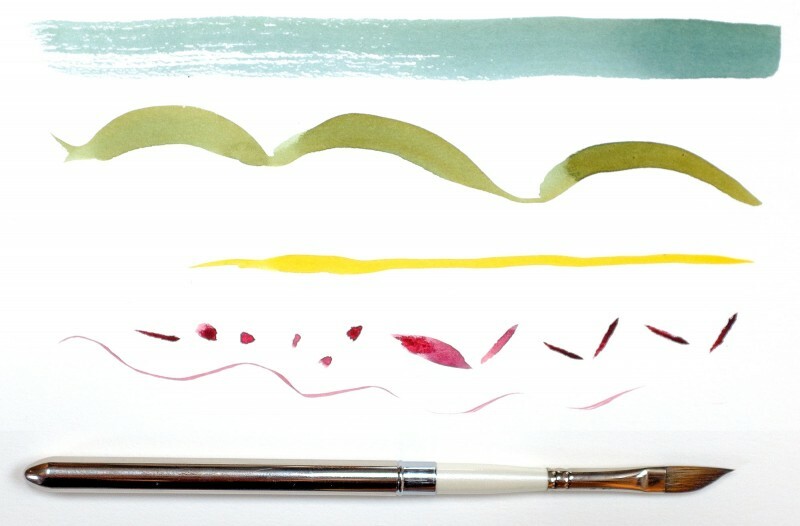 I am completely smitten with the travel palette- it’s amazing how much color can be packed into a tiny space. I have kept it in my purse, which means much more sketching on the go. Hope to see you again soon.